With its gorgeous, classic design the handmade leather backpack delivers a stylish way to carry your daily essentials. Like the idea? Let’s keep checking. This is a beautifully designed and well-crafted backpack handcrafted by CapraKeather, a small handicraft studio in Colombia. The leather bag measures 11 x 16 x 4.7 inches (28 x 12 x 41cm). As we can see from the images, it features an eye-catching urban-style appearance design, and it’s made from full grain leather for a durable construction and classic elegant. 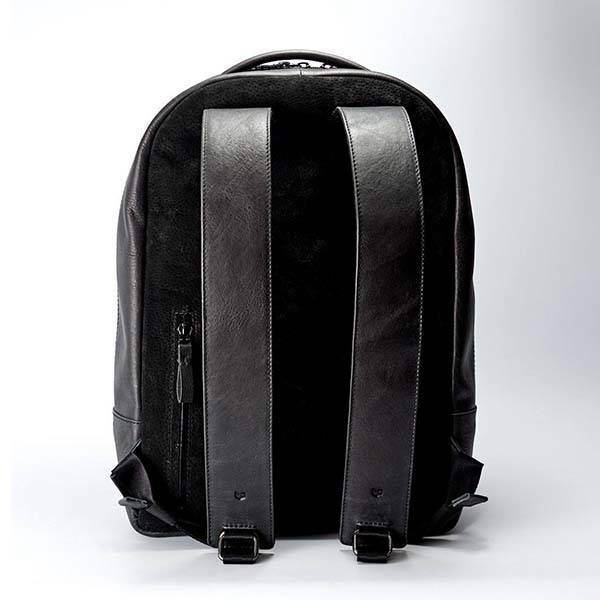 Meanwhile, the backpack is stitched with Italian waxed thread for improved durability and detailing. The leather backpack features 16-liter capacity, and its main compartment is designed to accommodate your numerous daily essentials. Furthermore, the laptop compartment fits for any 13″ laptop, MacBook Pro Retina 15″ or MacBook Pro 15″ with Touch Bar, and an integrated elastic band keeps your device in place. 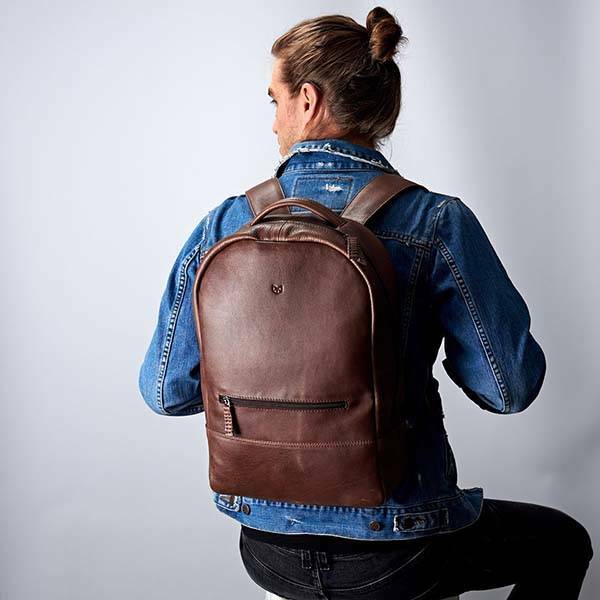 Moreover, the backpack has a hidden back pocket that securely holds your values in place, and a front zippered pocket is designed to hold those frequently used items. In addition, its shock-absorbing pads on the bottom protect your belongings, and the breathable suede backing and padded straps make a comfortable wearing experience. The handmade leather backpack is available in four colors, each costs $239 USD. If you’re interested, jump to Etsy for its more details. BTW, don’t miss the Classic leather backpack and more related gadgets by following tags.